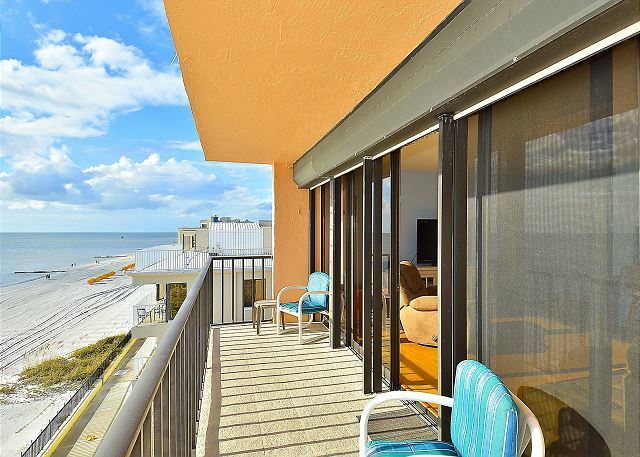 Totally updated condo with amazing views of the Gulf of Mexico!!! 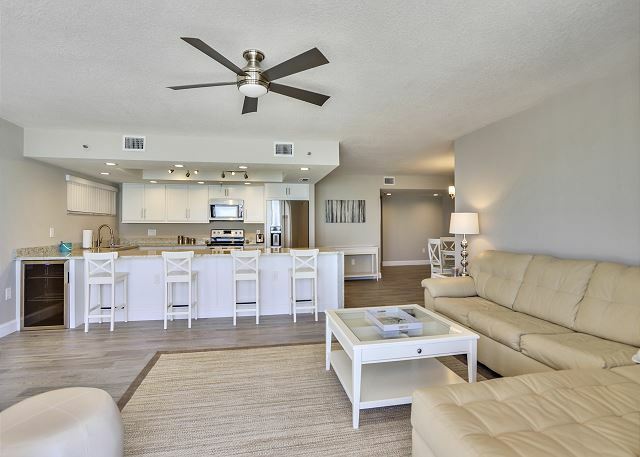 This 2 bedroom, 2 bath condo on Madeira Beach is bright and spacious with plenty of room to accommodate up to 6 guests. 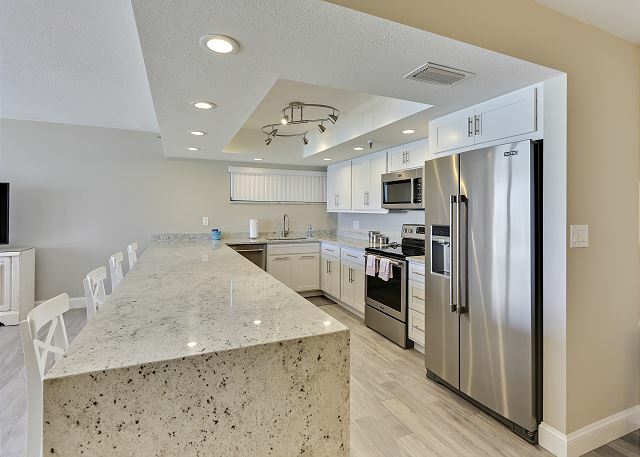 New flooring, granite countertops, new furnishings, completely renovated kitchen and bathrooms…the list goes on! 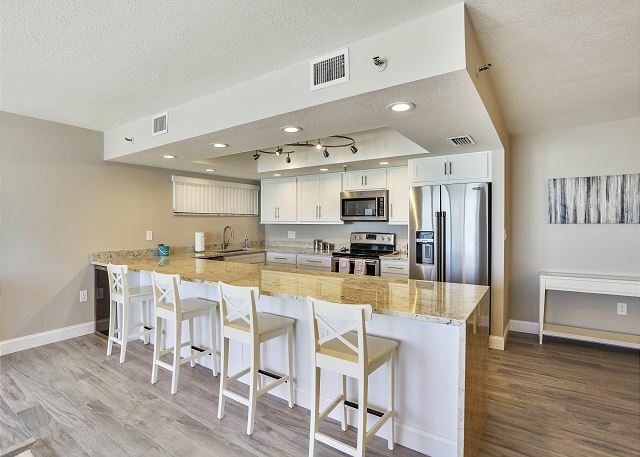 Centrally located in Madeira Beach with easy access to grocery stores, restaurants, John’s Pass and everything else the area has to offer!. Lovely and spacious unit. Very clean location was great. Loved having washer and dryer in the u it. Thank you for your feedback from your stay in this premier condo! Glad the location was ideal for you and we hope to have you back for another visit. Lovely internal property great kitchen and utensils-great space and balcony overlooking beach. Perfectly quiet and relaxing with nice residents and guests. Pool was also nice. Wonderful to hear!! So glad you enjoyed this premier condo at the Trillium and we hope to have you back for another visit soon!! I love the condo. It was renovated with open design. The kitchen is large. 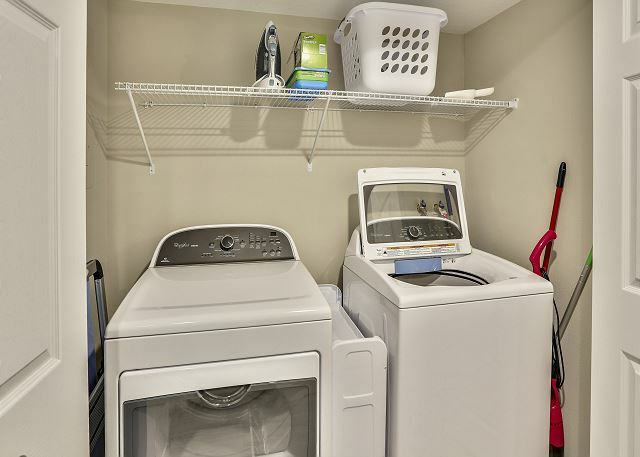 All appliances are fairly new, stainless steel. It's fully equipped. It's the best condo among the ones I rented in my previous beach trips. We are so happy to hear you enjoyed this newly renovated condo at The Trillium!! We will be sure to pass this feedback over to the owners, they did a lovely job and we are glad you were comfortable there! 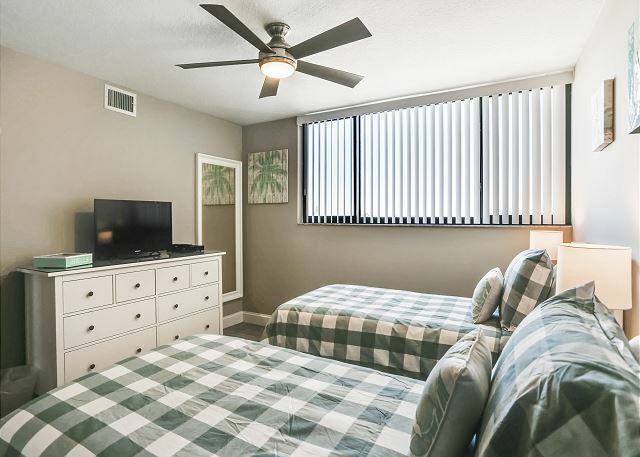 Thank you for being our guest and we hope to see you back for another visit to Madeira Beach soon! This condo is amazing. Beautifully decorated and stocked with everything you could need. Perfect for a family of 5 that wanted nothing to do but relax. We rented an umbrella and chairs from 2 terrific guys just out front of the condo. Enjoyed my morning coffee on the balcony watching the dolphins. Cannot say enough about this area. We had never been to Madeira Beach before but will definitely return. Resort Rentals was spot on when they directed me to 4C! 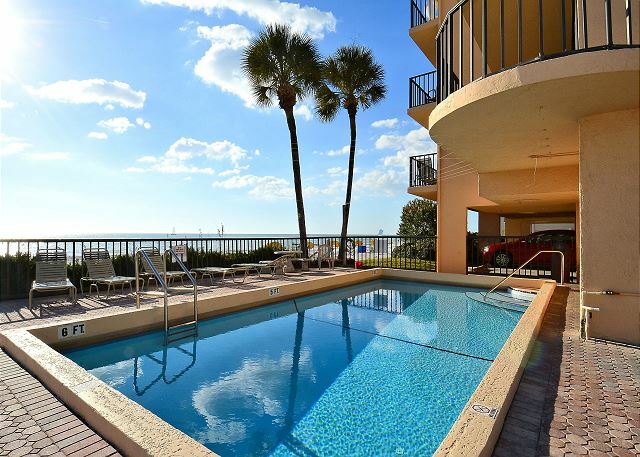 Lovely updated condo overlooking the gulf . Finished to a high standard , comfy beds and great view ! 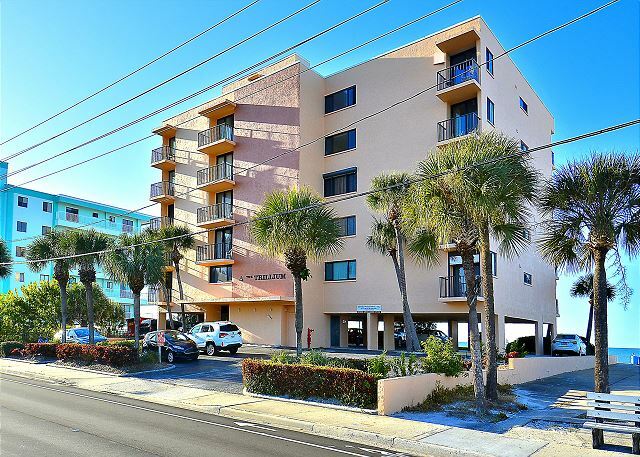 The unit was excellent...the building was built in 1981 and is an older style condo building in the common areas. 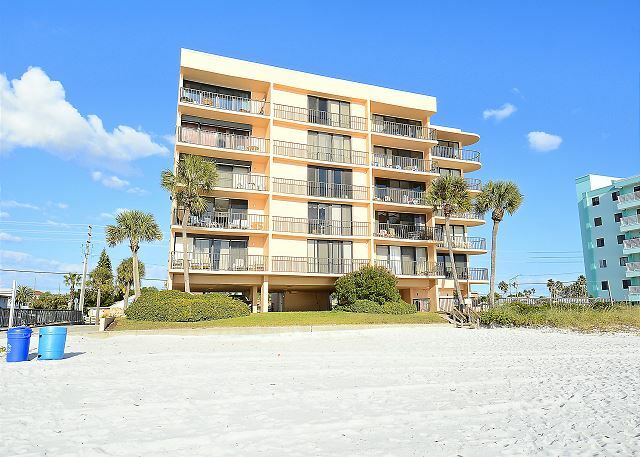 We are so glad you enjoyed this premier beachfront condo on Madeira Beach!!! The owners really did a lovely job with the updates here and we are so glad you liked it!!! :-) Thank you so much for staying with us and we hope to have you back for another beach getaway in the future! Everything was just perfect. The condo was beautiful and everything lovely. So wonderful to hear!!!! 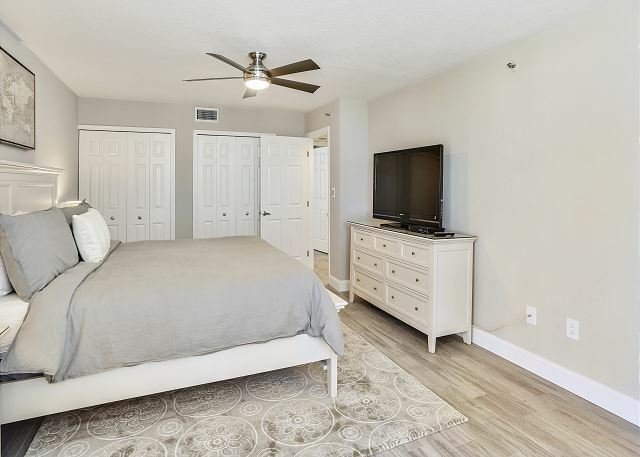 This condo actually was JUST redone within the past few months and the owners did an awesome job on the updates; we are so glad you liked them!!!! 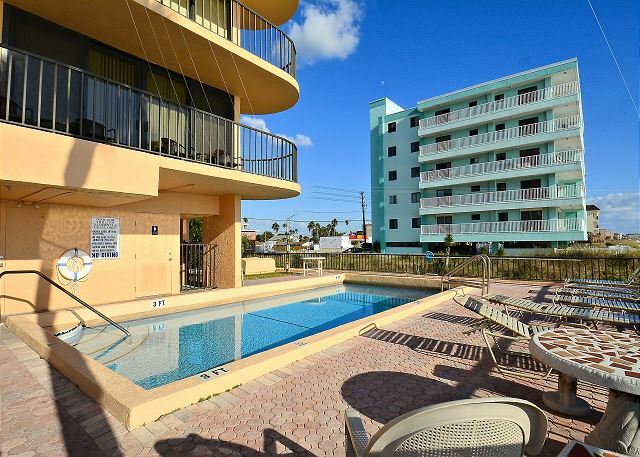 Thank you so much for staying with us and we hope to see you back on Madeira Beach for another visit soon! We had an amazing time at this property. The unit has been remodeled beautifully. We were just steps from the water which was so convenient. This was our first time to Madeira Beach and we all had fun (kids 7-20). The other residents were very welcoming and offered us anything we needed (which was nothing). We will definitely come back. Wonderful!!! 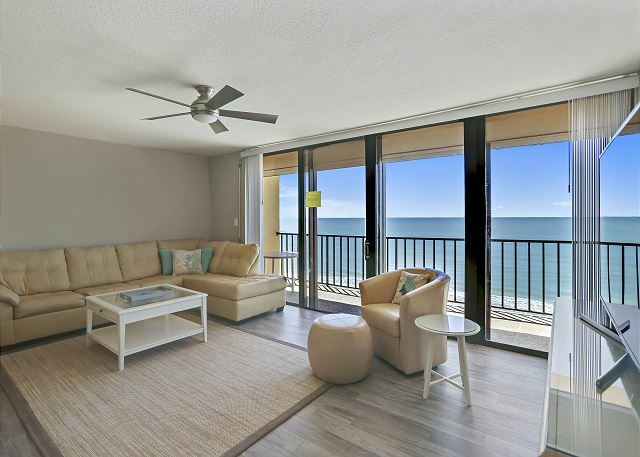 We are so glad you were comfortable in this newly updated condo at The Trillium and that you liked the Madeira Beach is all pretty great, we agree!! :-) Thank you for choosing to stay with us and we look forward to having you back for another visit! Wonderful!!! 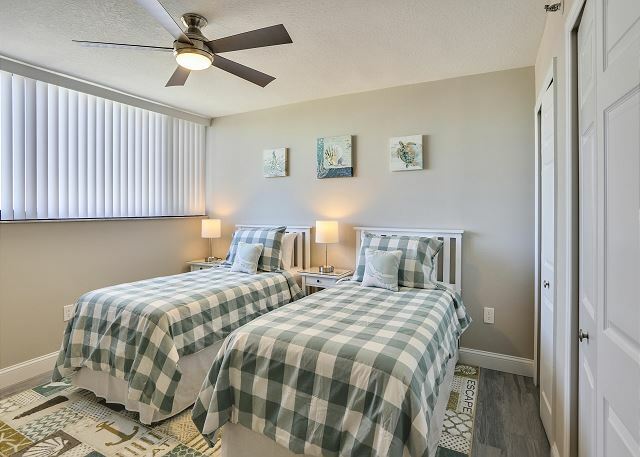 We are so glad you were comfortable in this newly updated condo at The Trillium and that you liked the Madeira Beach location; it is all pretty great, we agree!! :-) Thank you for choosing to stay with us and we look forward to having you back for another visit! 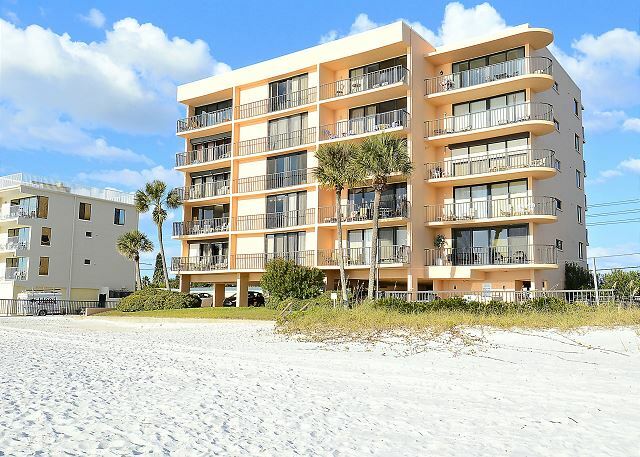 We are so glad you were pleased with your stay on Madeira Beach at the Trillium!!! We will be sure to pass along the feedback to the owner about possible updates, thank you for that! 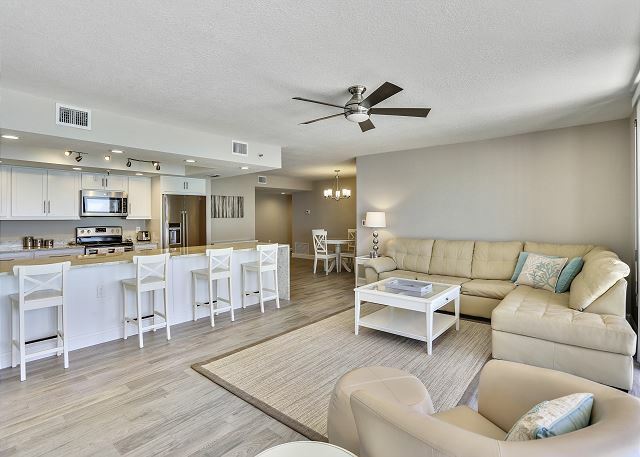 We have a number of condos that we manage at the Trillium building and some are a bit more updated that others so check them all out for your next vacation dates!! 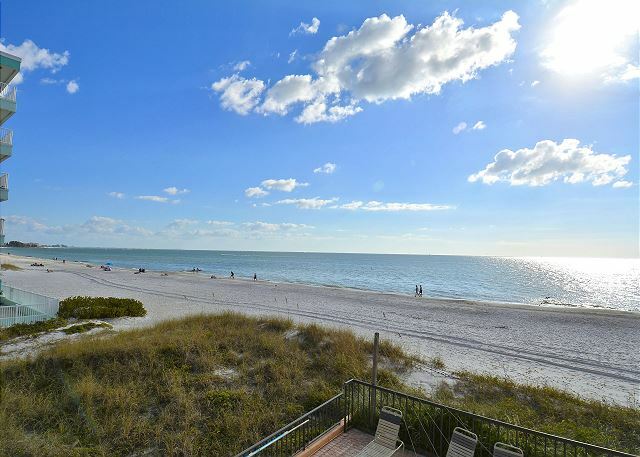 :-) Thank you for being our guest and we look forward to seeing you back on Madeira Beach!! My family of 5 had a great week in this vacation rental. We loved staying on the beach. We will be back. a guest from Canton, MI does not recommend this vacation rental. Nice vacation at this beach front condo. Right on the Gulf! The unit is clean spacious. Just did not like mirrors and the metal sliding doors. Location was ideal. Thank you for your feedback on this condo. 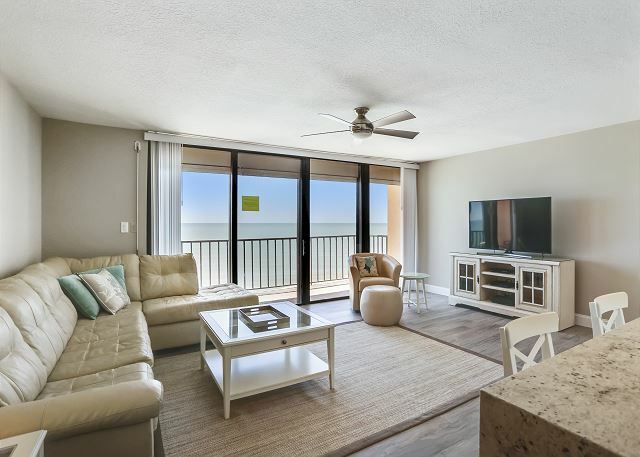 We are so happy to hear that you enjoyed the location and the AMAZING views The Trillium provides, however we are sorry if this condo itself was not the perfect fit for you. 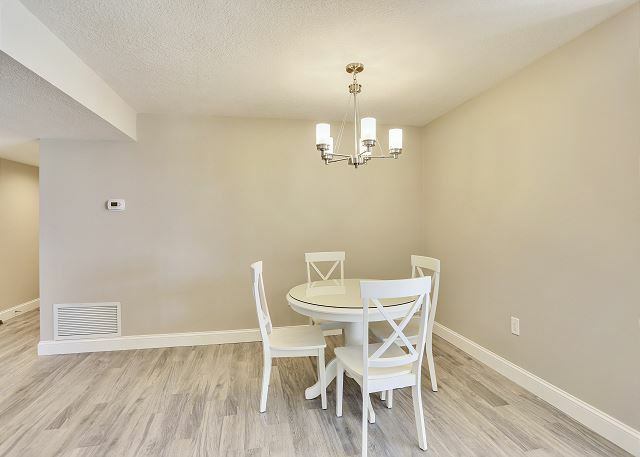 We have several condos at the Trillium that are in our rental program so if this was not the right one for you, I'm sure we have another that is! :-) Thank you so much for staying with us and we hope to have you back on Madeira Beach again soon! premises. I would recommend Trillium rental to anyone. The view from the condo was so beautiful. This was our second time staying in the Trillium and would come back again. Very clean and quiet complex. As in the past, the location is what brings us back each year. Well equipped kitchen for a rental property. Still not happy that the box springs in the master bedroom not replaced. Management notified in 2015 of the problem, but no response. THEY NEED REPLACED-NOISY AND POOR QUALITY. we spent the last week of January,2016 in this rental. Overall we were very comfortable here, although the weather was often cool and rainy. We cooked every day and never lacked for kitchen equipment. The second bath with the tub is small and I didn't care for the showerheads in either bath: large rainfall type, but that's my preference. 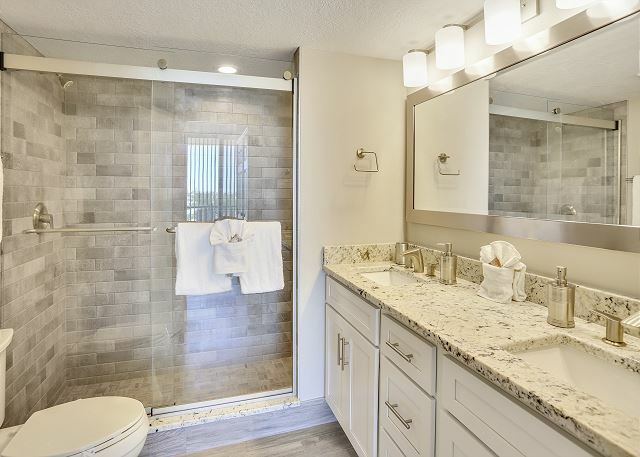 The shower in the master bath does need some shelves to put soap, shampoo,etc. I would be willing to stay here again but I like to try a different place each time so I probably won't. Resort Rentals was terrific. Will use them next time for sure. This was not where we originally intended to stay. It was recommended to us as an alternate location since our original location was no longer available. The condo needs a lot of updates. It also needs some attention. The screen door to the balcony would not work. The hallway and elevator area were very hot since there was no windows or air-conditioner in that area. Parking was very tricky due to the structure and support beams that were in the way. Lock. On the door to the parking area was actually broken for several days. The location was okay. I was a little disappointed how long it took to get to the closest full grocery store. The beach was awesome. Definitely the biggest plus. We were moved to this condo due to work being carried out on our original choice. The property is very small with only 15 condo's on the site. 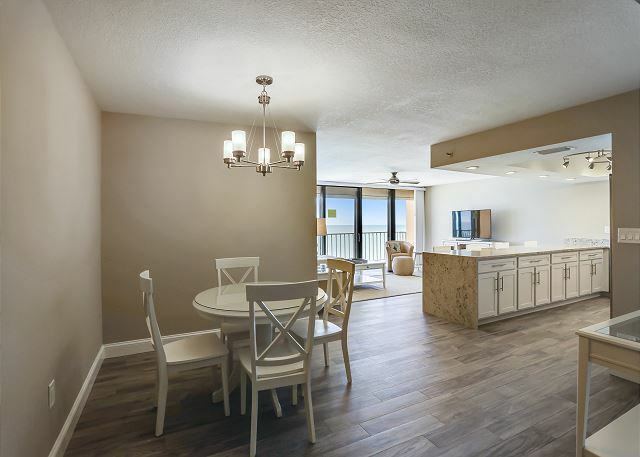 The condo itself was clean and well furnished with an excellent kitchen, dining area and lounge. There were also a good selection of games, CD's and videos if you were staying with a family. In the evenings the balcony was excellent for watching the sun go down and we spent most evenings there after returning from a meal. Unfortunately the bedrooms face the road and you don't have the pleasure of waking up to the sound of the waves on the Gulf. One area of design concern was if you were in the bathroom and someone was at the washing machine etc your exit was blocked by the folding doors at the machine. We were disappointed with the pool as it was very small and the deck had only 6 loungers. When you swam to the edge of the pool you could not see over the decking which was a good foot above water level. Wir hatten über die Jahre schon mehrfach Condos über Resort Rentals gebucht. Die Abwicklung ist immer einwandfrei und seriös. Das Trillium 4C hat eine 1A Lage= Meerfront Balkon, gut isolierende Fenster- was vor allen wichtig ist, wenn die Schlafzimmer zur Strasse gehen und eine insgesamt gute Ausstattung. Die Matratze im Hauptschlafzimmer ist allerdings sehr quietschend. Sich leise drauf zu legen, gelingt gar nicht. Anscheinend ist der Weichmacher raus... Was wir uns wünschen würden beim nächsten Mal: ein oder zwei Kaffeefilter, damit man nicht gleich losrennen muss um ein 100er Pack zu holen. Ein oder zwei anständige Liegestühle und ansonsten den alten Schrott in den Wandschränken mal entsorgen. Und mal die Öffnungen zur AirCondition sauber machen. Dennoch: Zu Resort Rentals gerne wieder und in dieses Condo gerne auch wieder!! Very nice resort! Look forward to coming back very soon! Very clean accommodation! Close to everything! Quiet and everyone was really nice! Had everything you could possibly need! Had a wonderful week steps away from the ocean. Spacious rooms, comfortable beds, and wonderful views. Relaxing week at the beach. Our unit was beautiful.well stocked wth everything we needed,comfortable clean & loved the layout of the unit..Could have used more pillows on the beds though. The pool was a very comfortable temperature.The beach is clean. The keys used to enter from the pool area were didn't always work very well..We will go back to this unit again. very well stocked condo. Could use an interior decorator, new bed in master bedroom, needs electrical inspection(some outlets not active). 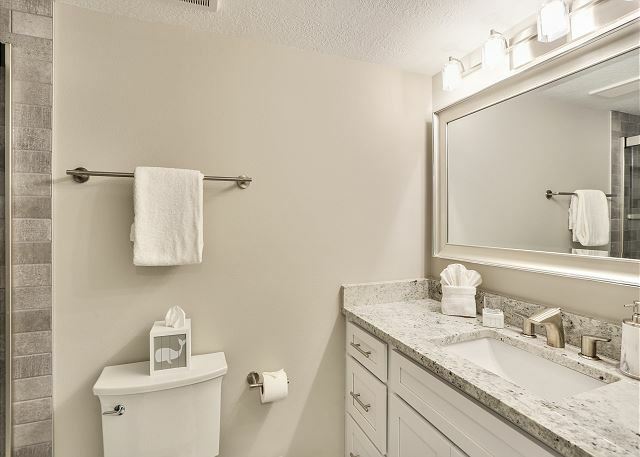 Excellent location, small condo complex. Great view and easy access to the beach. Ratings would have been higher if this property was even a little bit updated. The décor & painting is very dated as is the lobby. We stayed here because of the beach access & was not disappointed by that at all. 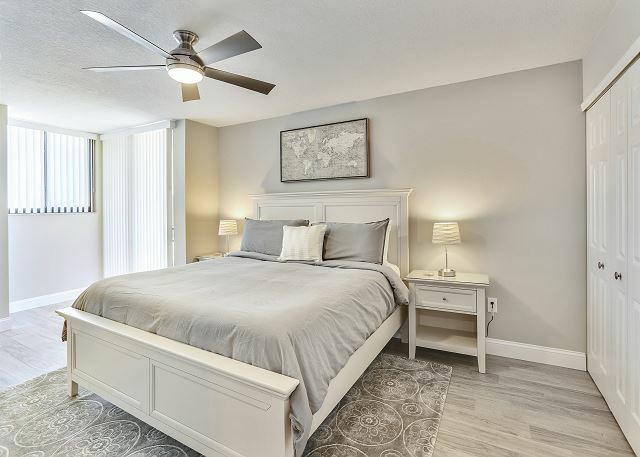 no complaints about the condo overall except sometimes traffic noise from gulf blvd from the master bedroom.great balcony view of the gulf and alot of space. Very clean and in a nice location on the beach. The only issue was that the bedrooms were on the side of the condo where the road is and it was quite loud during the night and in the early morning. Our rental had a lot more amenities than was described, we were pleasantly surprised! Everything was great! Wifi password and carrier not fully provided, hooked up but it was a hassle, didn't get tuner or printer/fax working. Electronic support is not great, this is important for business stuff, otherewise very good. We stayed there for 3 weeks with 2 children (5 and 1.5). The condo was very clean and had everything you need. The balcony is not for children (the little one could fall trough the railing). We missed a shower outside in order to remove the sand before entering the condo. Property management very helpful.